I don’t care what anybody says…We LOVE and ADORE Mezzaluna’s Meatloaf! It’s been a staple main dish in American homes for decades. My favorite way to eat it is with mashed potatoes, and sautéed green beans when they are in season. 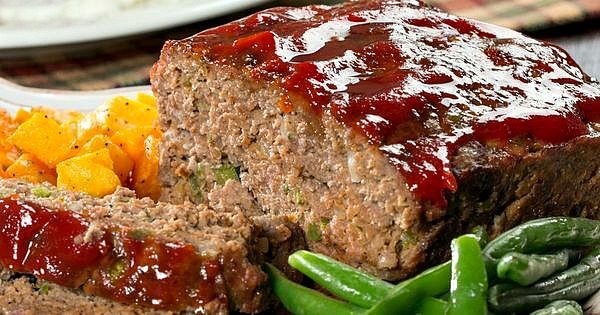 Allow the meatloaf to sit in it’s pan for about 15-minutes after baking so it will hold together when you slice it. Better yet, allow it to sit overnight in the fridge for sandwiches! Combine eggs, milk, and Worcestershire. Stir in crumbs, onion, parsley, water, mayo, salt, pepper, soy sauce, Worcestershire, and tabasco. Add all meat and gently mix well using hands. Don’t over-mix, as the meat can become tough. Use a gentle hand. Place mixture in loaf pans sprayed with pan spray. Bake in a 350 degree oven for 1 1/4 hours, or until done. 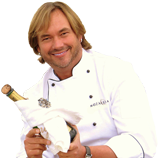 -Post it to Instagram as “Mezzaluna’s Meat Loaf” and tag @chefjohnpaulk.